Wine Country Inn is an 80-room, Victorian-style boutique hotel located in Palisade, the heart of Colorado’s rapidly expanding wine country. Nestled in the middle of 21 acres of working vineyards, the inn is within walking distance of two wineries and a short drive or bike ride from some two dozen more. With an abundance of local agricultural products, our Executive Chef specializes in seasonal field-to-fork creations for our all-new, full-service Caroline’s Restaurant and catering service for events. Our wine cellar presents local, American and International selections. A complimentary afternoon wine reception features our very own private label wines crushed from our grapes grown right outside our doors. A hearty wine country breakfast is standard. Casual lunch and elevated dinner service are offered daily in the new Caroline’s, while the Tapestry Lounge serves cocktails, wine, beer and a limited bar menu of small bites. Although weddings are a large part of our event schedule, they are by no means our only area of expertise. Corporate planners looking for a more intimate, relaxed venue for board retreats, team building/training and rewards programs can benefit from our decade of experience and adaptability. 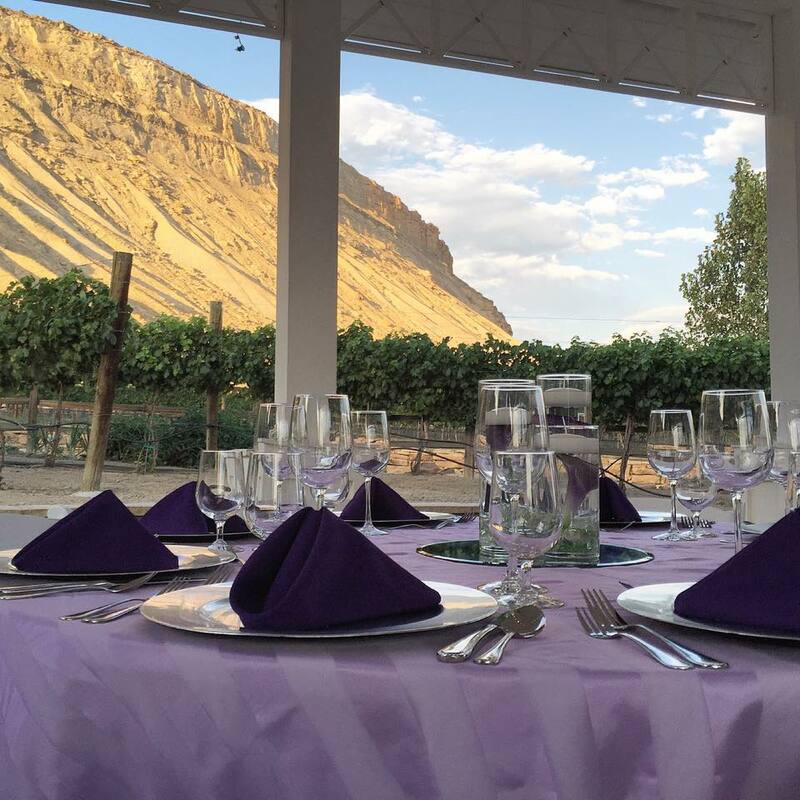 Whatever your goals, we can customize an event to your specifications for short-term day meetings or longer stays that include outside activities such as wine tastings, orchard tours, cycling, hiking, river rafting or winter sports at Powderhorn Ski Resort on the Grand Mesa. For the artistically inclined, we have a thriving community of local painters, sculptors, potters and fiber artists who show their works in several nearby galleries and studios. So much to do; so little time! The same opportunities apply to our class or family reunions, anniversary, and graduation or birthday celebrations. You can enjoy a variety of activities without changing your venue. 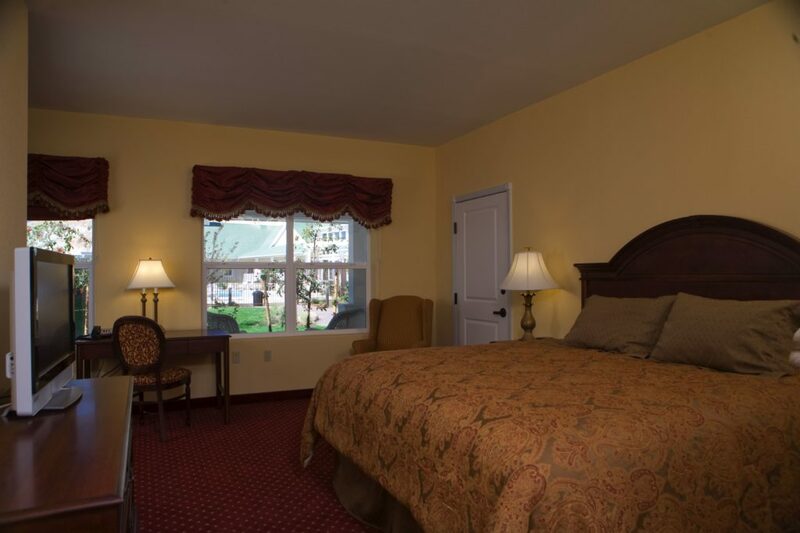 Wine Country Inn is a full-service hotel offering relaxed lodging, on-site dining, business services, guest laundry, gift shop, and free Wi-Fi and Ethernet service. The inn is easily accessed via Interstate 70 or by air connection through Grand Junction Regional Airport. WCI Named one of Top 10 Wine Destinations in the U.S.
Set in working vineyards with dramatic mountain views, Wine Country Inn offers versatile facilities for executive meetings, mid-size training seminars, corporate retreats, family reunions, wedding/anniversary/birthday celebrations or spiritual retreats. Chose from 10 adaptable meeting and function spaces of varying sizes to accommodate groups from five to 200. 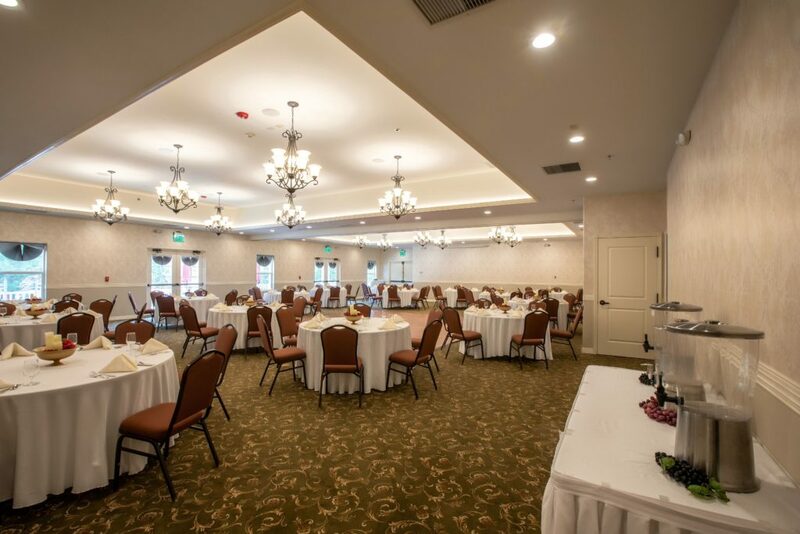 The newly enlarged and renovated Vineyard Ballroom serves 180 guests for a seated dinner or can be divided for smaller groups. It can be set with rounds of 8 and a parquet dance floor as well as in auditorium with individual chairs seating up to 300 or classroom with school tables and chairs for 180. 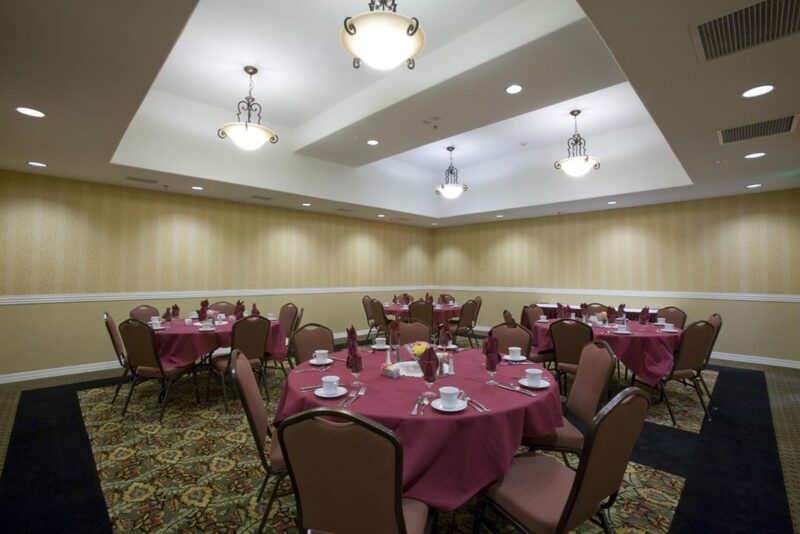 The room converts easily to reception mode with highboy tables and buffets. The smaller Orchard room can host cocktail receptions, wine tastings, teas, lectures or meetings for 30 to 40 guests. The Pavilion and landscaped Courtyard can accommodate up to 200 guests for weddings, receptions, concerts, and dancing. We can erect tenting to expand the covered Pavilion space. Our new Caroline’s Restaurant may be reserved for private events accommodating 60 plus guests, depending on configuration. Our freestanding Vintner’s House becomes a unique venue for meetings and lodging with two large Club Rooms with fully equipped kitchen, living room, and dining space. The Club Rooms can be configured into an overlarge suite with adjoining and adjacent bedrooms. The first-floor adjacent Rose Room can provide space for breakout sessions, an impromptu office space, and boardroom or can be utilized for private massage/spa or salon services. 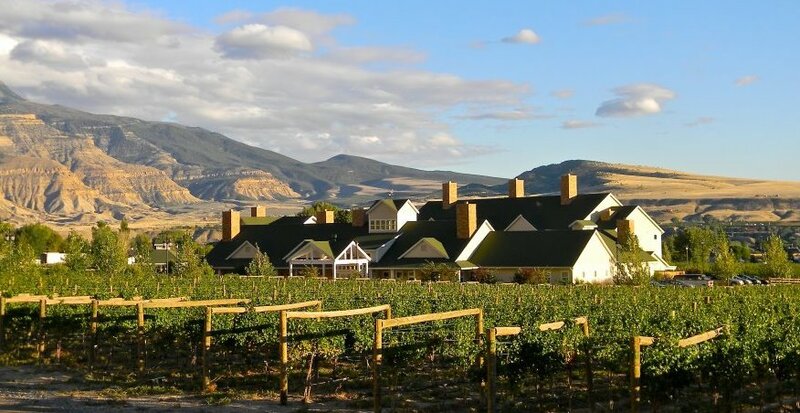 Experience the romance of the vineyards at the Wine Country Inn, Colorado’s first wine-themed hotel located in Palisade’s wine valley. Our 80-room Victorian-style hotel sits in the middle of 21 acres of working vineyards. 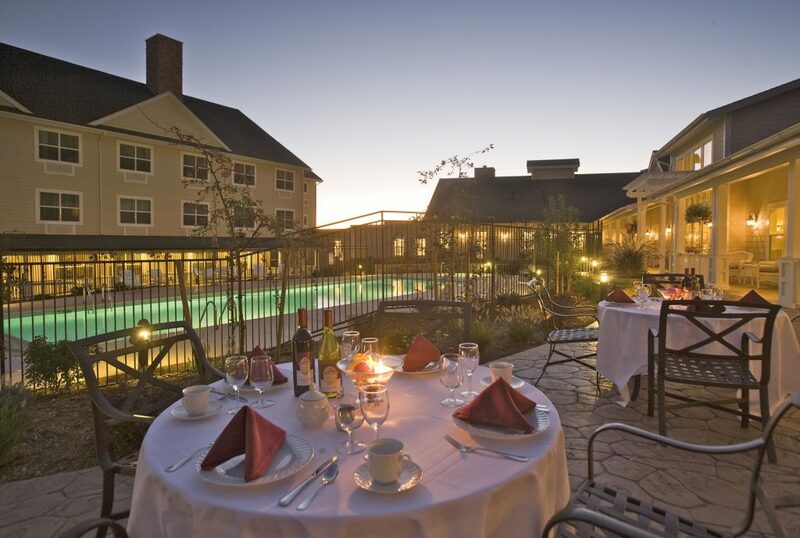 Wine Country Inn is adjacent to two wineries and a short drive from two dozen more. Get to know our ever-expanding wine industry, popular orchards, and local art scene, while pampering yourself with first-class accommodations. Enjoy the slower pace of small town life. 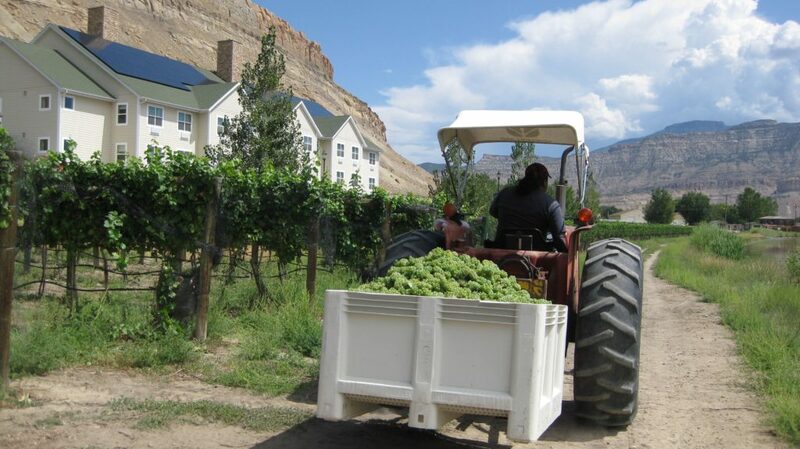 As we like to say in Palisade, “Life tastes good here, all year long.” We offer comfortably appointed, fully equipped guest rooms and unique accommodations in our Vintner’s Guest House. 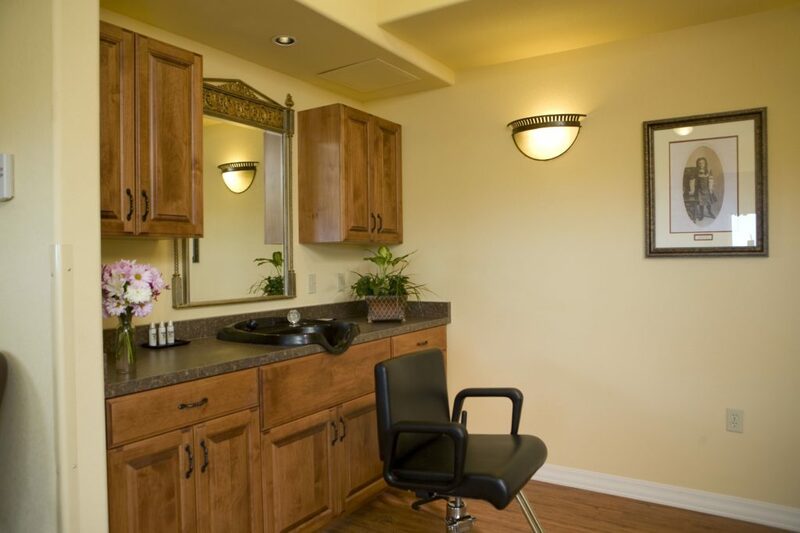 Besides the full kitchen, living and dining rooms of the Club Rooms, our suites are adjacent to the Rose Room that provides shampoo and makeup facilities for the bride and her party. The Vintner’s House borders the Pavilion and Courtyard venues where outdoor weddings are staged. A full-size seasonal pool and spa surrounded by beautiful, mature landscaping as well as gracious wrap-around porches with wicker furniture and rocking chairs enhance the ambiance. All our rooms invite you to sink into our plush bedding and drift off to a perfect night’s sleep. A luxurious lounge chair and ottoman create a great spot for reading or watching your favorite program on our large, flat panel television. If you need to catch up at the office, we have Ethernet and WiFi Internet access and a writing desk or worktable in every room. Carefully restored historic photographs create a home-like, welcoming ambiance to all our rooms. With your own private refrigerator and microwave, you are set to snack at your leisure. Of course, coffee pots, irons, and ironing boards are there if you need to spiff up for a special event. Granite vanities and granite lined showers and tub enclosures are little touches we think you will enjoy. 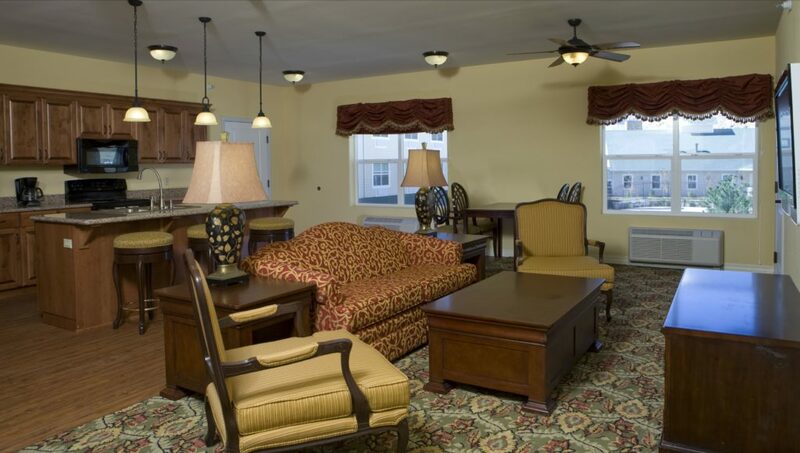 Top it all off with great views from every room, and you are well on your way to relaxation. 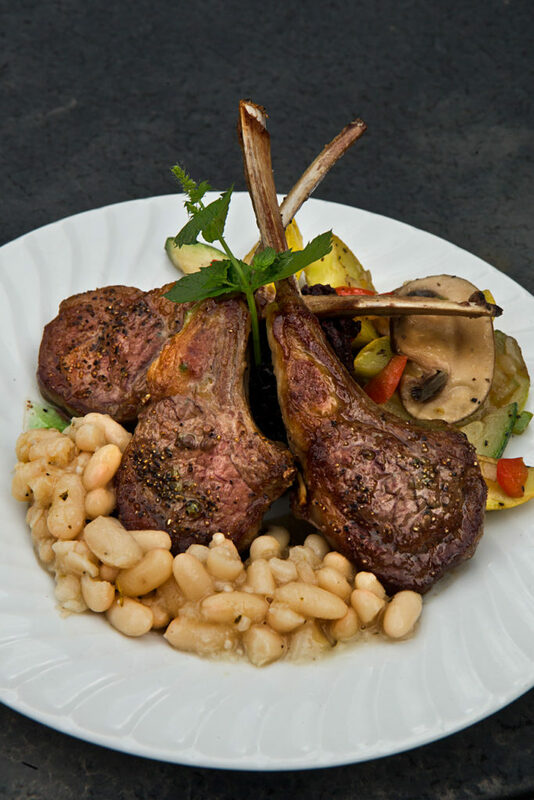 Of course, our popular Caroline’s Restaurant and Tapestry Lounge provide food and beverage service. Our breakfast and afternoon wine reception is complimentary. To further serve you, we provide a Fitness Room, Gift Shop, Guest Laundry, Guest Office Center with computers and a friendly, helpful staff ready to assist. 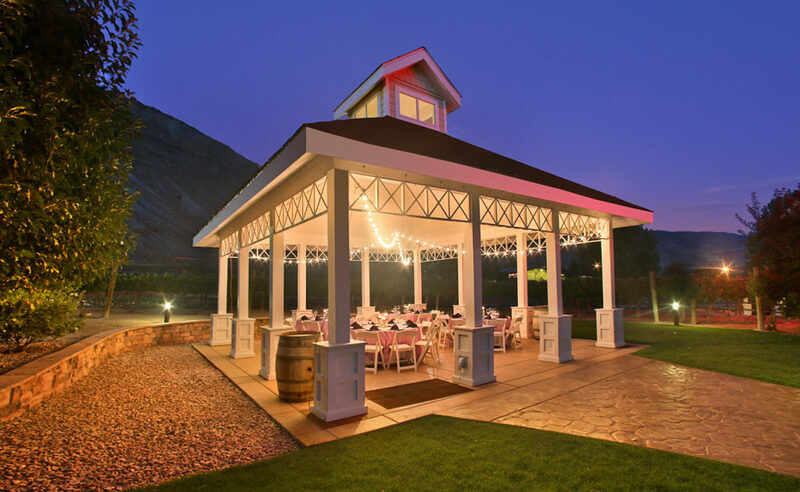 Nestled in 21-acres of working vineyards in the heart of Colorado wine country, our 80-room Victorian style boutique hotel is the perfect setting for a wedding. Stunning views of the Little Bookcliff Mountains create the backdrop for a memorable outdoor ceremony in our Pavilion. Our beautifully landscaped Courtyard can accommodate up to 180 guests. 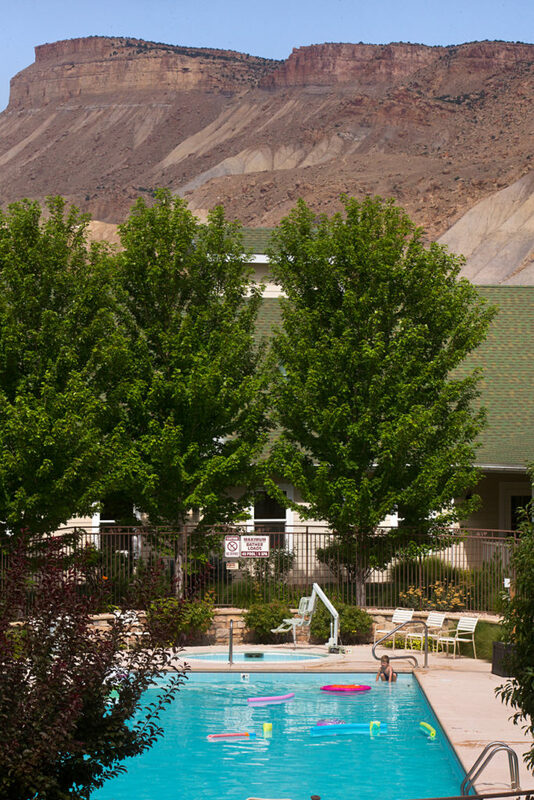 Besides the near Bookcliffs, Wine Country Inn is fortunate to enjoy glorious views of orchards and vineyards, as well as the Grand Mesa to the Southeast and the Colorado Monument in the distance to the West. For seated rehearsal and wedding dinners, our Vineyard ballroom can handle up to 180 guests. Formal tenting outside can expand that number for plated or buffet dinners. 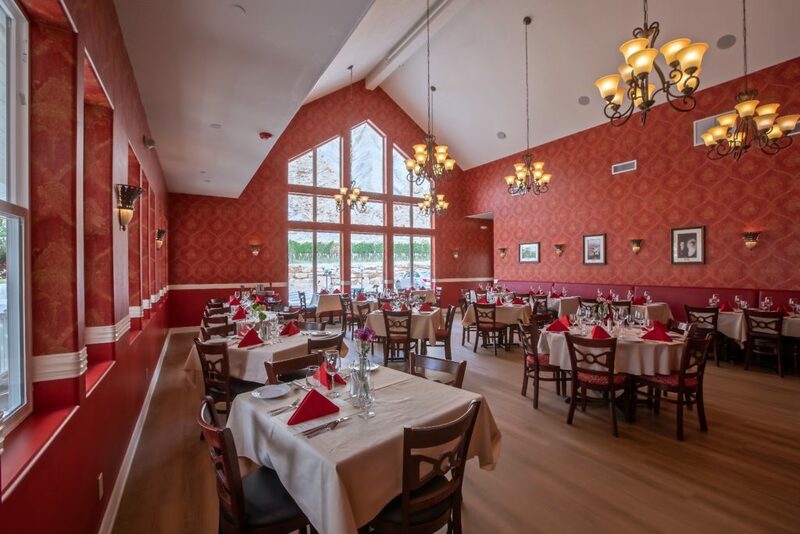 Smaller, more intimate celebrations are easily hosted in the Orchard Room, the all-new Caroline’s Restaurant, the Tapestry Lounge or either half of the divided Vineyard Ballroom. 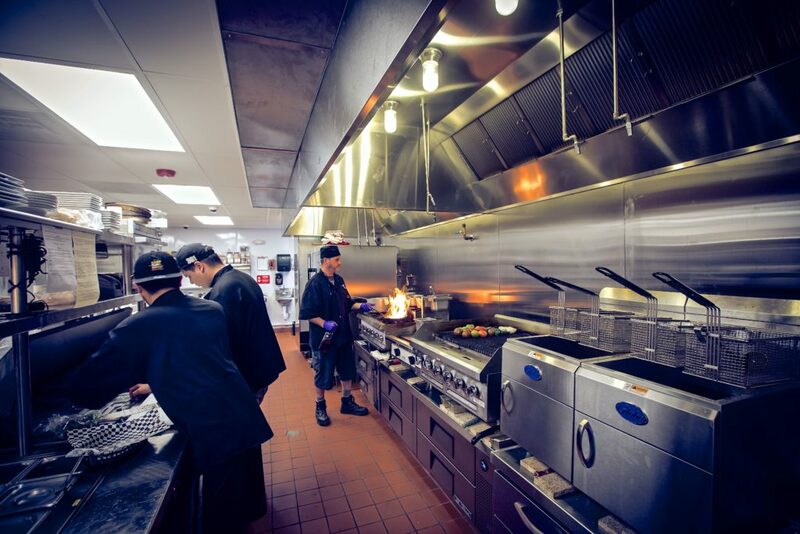 With a new state of the art commercial kitchen, our culinary staff is well equipped to customize your menu, utilizing seasonal farm fresh produce grown right here in our rich agricultural area. We can pour our own private label wines as well as a wide selection of local, national and international wines for your special occasion. Additional amenities for brides include our stand-alone Vintner’s House, which features two Club Rooms with adjoining King and Double Queen bedrooms. Two additional bedrooms are adjacent on each floor. The Rose Room Salon allows brides to bring their own professional stylists and makeup artists to prepare the wedding party for the ceremony. That room also doubles as the venue for relaxing individual or couple’s massages. Additionally, our experienced staff and reserves of equipment, linens, and necessary accouterment can calm the stress of planning and enhance the execution of your plans. Whatever your dreams, let us make our magic work for you.